I love the Green River and have been fishing it monthly for the last seven years. 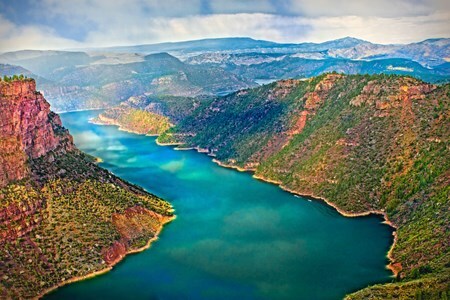 The emerald waters and amazing canyon atmosphere make it a place to remember even if the fish are not cooperating. 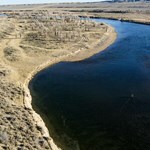 But that seldom is a problem with over 14,000 fish per mile from the dam to little hole. These fish are very healthy and stunningly beautiful. 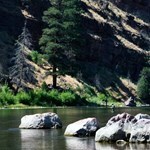 Making the Green River the ultimate destination for any angler to enjoy. 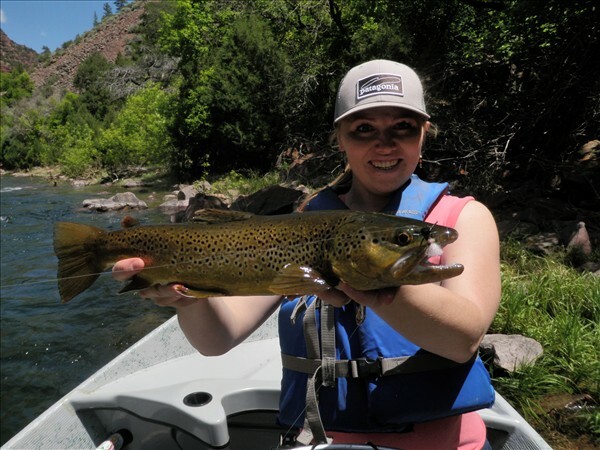 To be a guide on the Green River you need hold a current river guide license issued by the state of Utah, and to be hired on by an outfitting company who holds a current river permit. There are some great company’s and good guides in the area. I currently guide out of Spinner Fall Guide Service and take all of my trips through this company. We meet at 7:30am or 8:30am in Dutch John, Utah. We go over conditions, gear, fly’s and what to expect for the day. You provide your rod, reel, leader, and I will provide fly’s and accessories we will use throughout the day. We load up in a company vehicle that takes us down to the boat ramp. We take the boat off the trailer and get or rods rigged up and start our float. 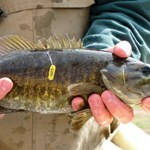 The Green River offers great fishing for a variety of techniques. Depending upon your preference we can fish drys, nymphs, dry dropper, or streamers. I am very open to fish any of these and will help you understand the skill needed for each of them. I will not force you to to fish a certain way, I know this is your trip and will help you achieve your expectations. When the time is right we will pull the boat ashore and have a river side lunch that is often grilled chicken, brats, burgers, or sandwiches. After lunch will will finish our float and with sore arms and new memories reach the boat ramp to end our float. Our vehicle will be shuttled by a shuttle service and be ready for us at the ramp. I will then load the boat on the trailer and will drive back to the meeting location in Dutch John. 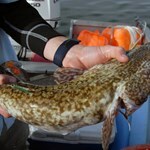 Overall a full day guided trip is between 8-9 hours and everything is simplified for us to really focus on the fishing! Melting snowpack from the Wind River Mountains give rise to the Green River, Wyoming’s second longest. After flowing south over 700 miles, the Green enters into the Colorado River ... moreand is considered by many to be this river’s headwater. Supposedly named by 16th century Spanish explorers for its clear color, a mystery since most people say it looks quite the same as the murky Colorado, the river ran basically unimpeded until the early 1960’s when the Fontenelle Dam was completed. One year later another dam was built in Dutch John, Utah, which flooded the scenic, red-rock Flaming Gorge for nearly 90 miles, creating a deep-water fishery famous for its monster lake trout and trophy browns. Despite man’s effort to tame the Green, over 150 miles of the river still run free. Set between the Bridger-Teton National Forest and Bridger Wilderness area, the remote river basin has retained its rugged, pristine, scenic beauty. Locals joke that there are more elk, bear and deer in residence than people, a fact attractive for those seeking an authentic, fly fishing experience. 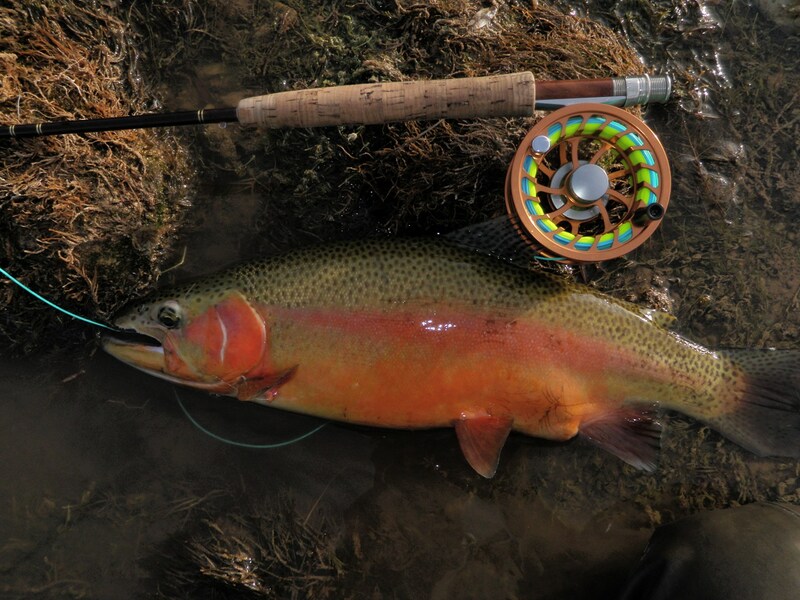 Fishing is thought to be best during the late summer and fall seasons when there are prolific mayfly and caddis hatches and trout is plentiful, including the native Colorado River cutthroat. 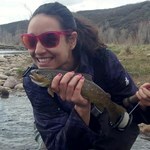 Pinedale, a small resort town on US 191, is the primary hub for the upper Green River, attracting anglers from as far as Jackson. Another small town, Green River located on I-80, services sportsmen along the lower portion of the river. 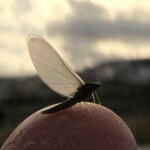 Fly shops are in abundance and guides are widely available at both locations. 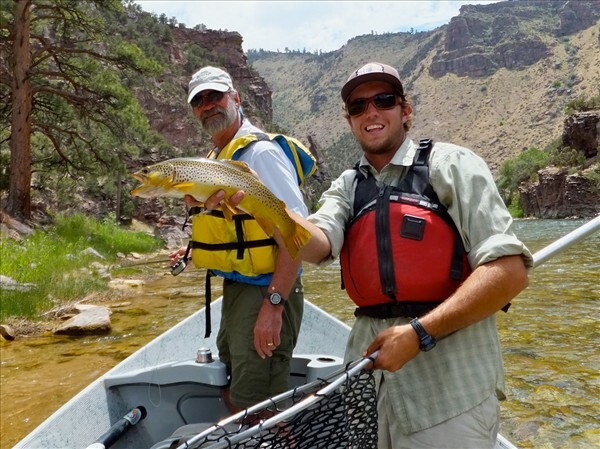 Payment directly with Green River Float Trip with Utah Fish Chaser.